Closing Reception: Thursday, Feb. 8 // 4-6 p.m. 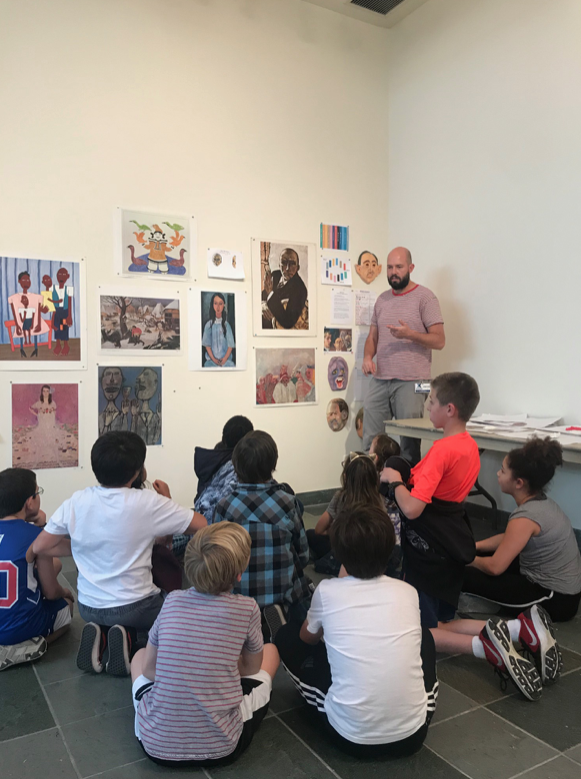 Contemporary artist and cartoonist Matt MacFarland will work with fourth-graders, Middle School Art & Culture students and Upper School Studio Art students to produce latex masks from plaster molds inspired by Classical, Modern and contemporary portrait paintings. Each mask will be loosely based on the theory of the “archetypical figure” posited by Carl Jung in which universal, mythical characters reside within the collective unconscious of people all over the world. Each of these projects takes our current political moment as a starting point and, through visual expression, seeks to imagine what new possibilities these traditional forms might hold. Matt MacFarland received his MFA from Otis College of Art in 2003 and has been teaching ever since. He is a contemporary artist and cartoonist whose ongoing graphic narrative “Dark Pants” follows a mysterious pair of pants through Los Angeles as they impact the lives of whomever wears them. MacFarland has also compiled his 14-plus years of teaching experience into a self-published comic, “The Teaching Chronicles.” MacFarland enjoys introducing students to a wide spectrum of art materials and approaches, and he has a fundamental conviction that everyone is able to draw. MacFarland has long been fascinated by the tension between 2-D and 3-D artwork and enjoys exploring the space between them in his own work. For this project, the artist combines his love for monster masks, portraiture and caricature. With Jung’s 12 archetypes as the springboard and the expert guidance and skills of Crossroads students, the artist will attempt to replicate, in the form of latex masks, famous faces depicted in Classical and contemporary portrait paintings. His work has been profiled in the Los Angeles Times, Comics Bulletin, Comics Grinder, Artillery and X-TRA art journal. His artwork has been featured at such venues as 356 Mission, the Vincent Price Art Museum, Armory Center for the Arts, and Torrance Art Museum. He has never said no to a free sandwich. For more information, visit www.mattiemac.com.